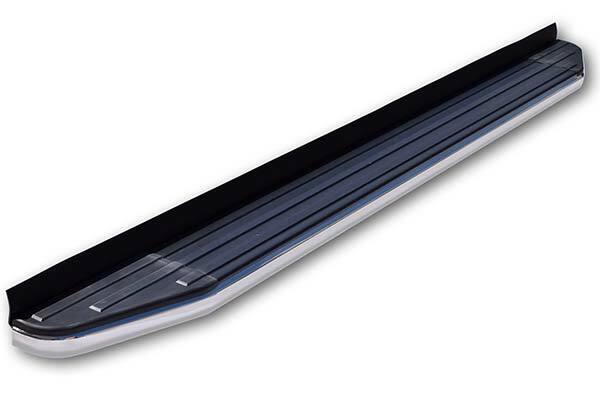 ProZ 155110AA - ProZ Premium Running Boards - FREE SHIPPING! Took them to my local mechanic to have them installed. They look great. The running boards are in fact what I hoped they would be and look great on my 2014 Honda Pilot. They feel sturdy and are a higher quality than I figured they would be when they actually got to me where I could see them. I'm glad I went with these running boards. Great quality running board with easy step-by-step installation, I was able to put these on withing 2 1/2 hours. Packing included all hardware for my car and end result looks factory. So far these were delivered as promised, they are very nice looking and the quality and fit and finish are super. Installation went smoothly as well. I expect this product to hold up well over the next couple of years. 3 hours install. Needed deep and shallow sockets. With the proper tools, pretty straight forward installation. The most important part: the wife likes them! Excellent product, great price and easy install! I am very happy with the running boards! 2014 Honda Pilot. Item was well packed. The written instructions were a little confusing at first had to study pictured diagram for a few minutes. I was able to install by myself in 2hrs. Quality was good. I would buy again. Excellent Running Boards for my Honda Pilot!! These running boards are very close to OEM boards, if not better. They arrived undamaged, with good quality hardware and excellent instructions. It took a couple of hours or so to install them, but it turned out to be a great father-son project!! They look great...and appear to be well-constructed. There have been no problems so far with them. I would highly recommend these running boards, and AutoAnything for their service and prices!! Easy to install and fitment is 100%. I didn't struggle or having a hard time installing it on my Honda Pilot. Will recommend it to my friends and family. The ProZ Running boards look great on my Honda Pilot and, with luck, they will last as long as the vehicle. Although it does take a while to sort and organize all of the hardware for installation, the install is not particularly difficult but; it does take time. I wanted to buy another set for my son's vehicle but, ProZ does not make this product for his model. proz running boards installed on 2013 Honda Pilot. 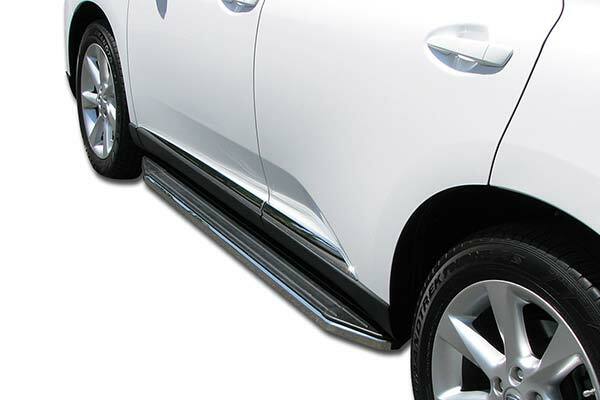 The proz running boards are a good product that have good instructions for installation. The only thing that did not fit was the passenger side angle bracket. they gave you extra washers to make the bracket fit. Reference # 760-699-618 © 2000-2019 AutoAnything, Inc.